Japan’s many distinguished female artists deserve much of the credit for the preeminence of Japanese painting today. Too often their contributions have been overlooked as galleries and art historians focus on their male counterparts. But there is no good reason why we shouldn’t all be more familiar with the work of these exceptional painters. We have selected 10 of Japan’s most famous female artists, from the Edo period up to the contemporary. They are innovators, feminists and simply the best at what they do. These are painters that you need to know if you want to fully grasp the history-shaping movements of Japanese art. And while we’re celebrating women in Japanese painting here, we have also highlighted some of the country’s most fascinating women artists working in other creative fields, such as sculpture, photography, ceramics and more. Take a look at 10 Japanese Women Artists You Really Should Know to find out more. It’s impossible to speak about Japanese art without spending some time reflecting on ukiyo-e, or woodblock prints, one of the country’s greatest visual art forms. Katsushika Oi is one of ukiyo-e’s quiet overachievers. Oi’s incredible artistic talent was practically guaranteed at birth, considering the fact that her father was the legendary Hokusai. Although her legacy has been a little overshadowed by her father, Oi was an incredible artist in her own right, thanks to her uncanny ability to utilize bold block coloring to capture the eye of the viewer. Her visionary attitude combined with the traditional knowledge she gained from assisting her father brought a fresh perspective to the richly historic form, and explains why she was one of the first female artists in Japan to gain wide renown for her skills. Find out more about this fascinating artist, and enjoy her works in our article Katsushika Oi: The Hidden Hand of Hokusai’s Daughter. The name Shoen Uemura is actually the pseudonym of Tsune Uemura, an important Kyoto based artistic figure of the Meiji and Taisho period. Her tireless study of the world of bijinga (pictures of beautiful women) greatly influenced her artistic output, inspiring her to create images that would catalyze a new evolution in bijinga painting. Thematically, Uemura’s work focused on motifs common to classic bijinga, like beautiful women and iconic figures from noh theater, but with a feminist slant: she had women recreate noh poses in roles typically reserved for men. Bold, but also respectful of the form, it’s fair to say the history of bijinga would look very different without this groundbreaking artist. Reaching a little further back in to history of the Japanese art, Ike Gyokuran is one of the most influential and important female painters in world of classic Japanese culture. Born in 1727, Gyokuran created most of her works in Kyoto, where she is still a much lauded hometown hero. Her efforts in the world of calligraphy and poetry were very much admired, however it is her contribution to the evolution of Southern Painting that cemented her reputation. 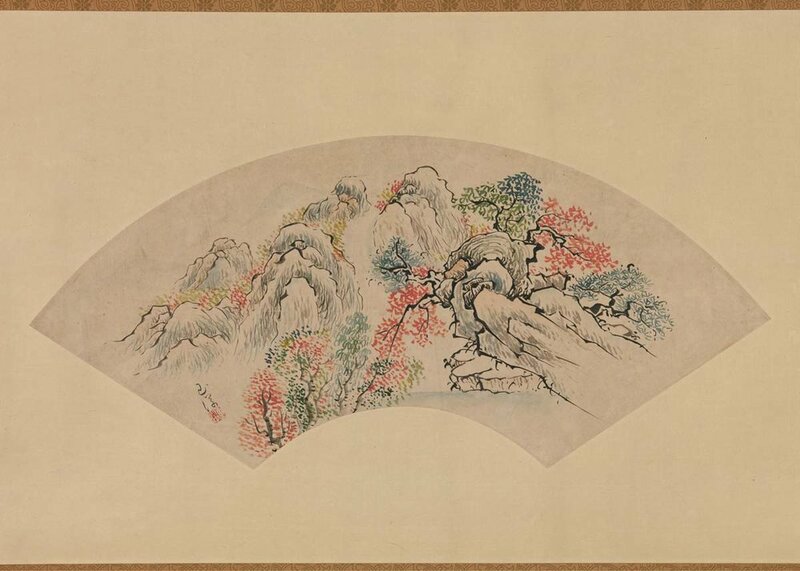 Flourishing during the Edo period, this high-end style of painting was greatly influenced by classic Chinese culture. Delicate, rhythmic and effortlessly sleek, Gyokuran’s style can still be seen on many classic Japanese items today, from folding screens and sliding doors, to fans and hanging scrolls. One of contemporary Japan’s most prolific nihonga painters and most famous contemporary female artists, Rieko Morita has dedicated over 30 years to refining, redefining and influencing the world of nihonga. In an exclusive interview with Japan Objects, Morita spoke about how she drew inspiration from her previously undiscovered interest in the mysterious world of the maiko saying “[I]t was only a minor interest when I first started drawing them, but bit by bit I was truly taken in by the mysterious charm of the ‘walking traditional craft’ of the world of Maiko.” Today this blend of appreciation of Japanese history combined with a more modern take on nihonga painting is an excellent analogy for the country’s commonly referenced old and new aesthetic. 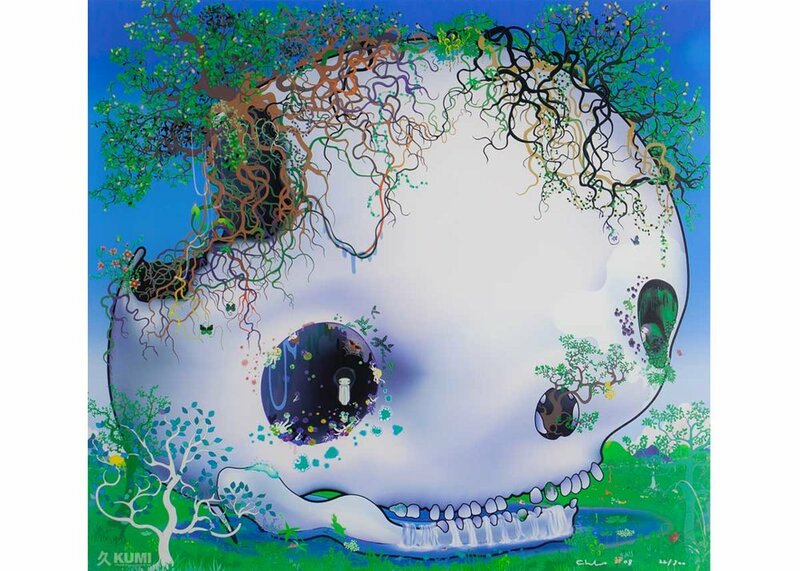 One of Japan’s most formative pop-artists, Chiho Aoshima cut her teeth under the mentorship of the international pop-culture legend Takashi Murakami. Working with Murakami as part of his Kaikai Kiki group shows, her talent and incredible eye for crafting attention commanding works saw her collaborate with some of Japan’s biggest names like Issey Miyake, as well as presenting lauded art shows across the globe. After becoming disillusioned with her studies in economics, Aoshima taught herself how to use Adobe Illustrator and from there she began producing her surreal dreamscape style, which continues to challenge the concepts of what we consider kawaii (cute) and kowai (scary). Growing up in Kyoto, Tatsu Hirota’s work was heavily influenced by more classical Japanese motifs, garnering a reputation for creating stunning images of nudes and maiko (trainee geisha). Born in 1904, Hirota’s rise to artistic stardom wasn’t an easy one: her family was poor, so her career prospects as a painter didn’t look so bright. Thankfully for lovers of Japanese art, by the age of just 12 she had steadfastly committed to the idea of pursuing painting as her life’s work. Her delicate imagery and assertive use of soft, yet bold block coloring are still emulated in works today. Born in Sapporo in 1905, Tamako Kataoka is one of nihonga’s most prominent female artists. Combining traditional Japanese imagery with a more western style pop art aesthetic she helped bring traditional nihonga painting into the modern age. 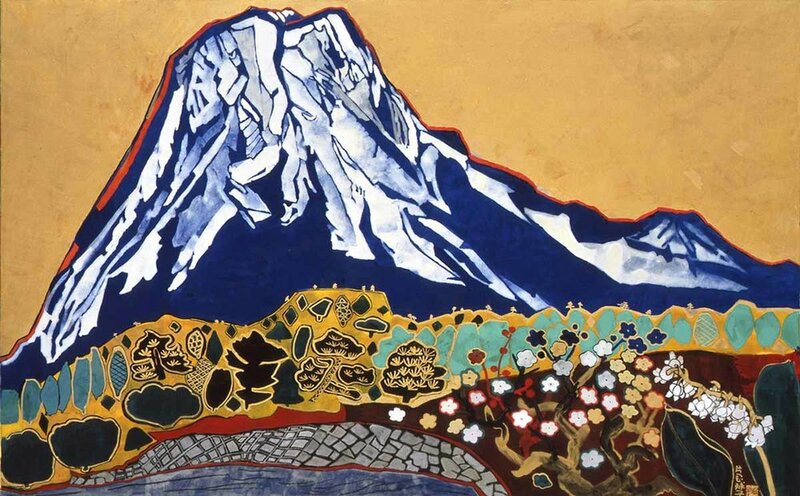 Some of her most famous work is her series on Mount Fuji, which saw the artist take a surrealist approach to nature painting, recreating the instantly recognizable figure in eye-catching shades of white, red, and blue. To learn about more modern Nihonga artists, check out these 12 Contemporary Masterpieces! Based in New York City, but born in Tokyo to parents of Korean nationality, Shirley Kaneda’s cultural identity is a diverse as the works she creates. Typically referred to as an abstract painter, her boldly colored, futuristic images sit somewhere between surreal digital design and psychedelic dreamscapes. Kaneda left Japan in the 1970s to further her study in the world of illustration at Parsons School of Design in New York City. 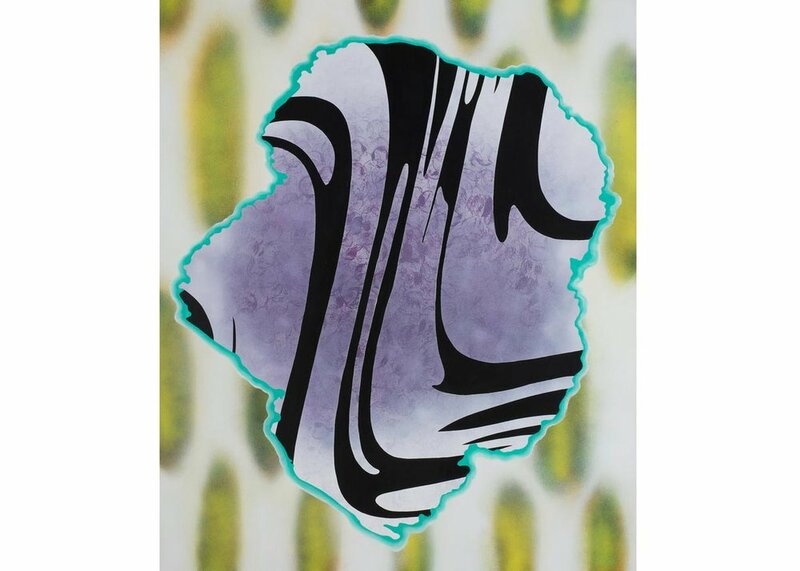 Since then she’s continued to push the boundaries of form and color to craft pieces that somehow draw together disparate elements into a cohesive and though-provoking whole. Hailing from Mie Prefecture with Japanese and Swiss heritage, Leiko Ikemura is a sculptor and painter famous for her masterful use of swirling color and pastel shades which give her work a unique dream-like ambience. As a student Ikemura left Japan to further her studies in Spain before presenting her debut show in Germany and moving to Zurich to live and continue her artistic career. This worldly history, in combination with her multi-medium pursuits make her one of the country’s most indefinable talents. In this haunting watercolor portrait, she presents her take on the iconic artist Frieda Kahlo. Rounding out this list is the iconic Yayoi Kusama, as it’d be a crime to talk about the history of Japanese art in any shape or form without adding this fascinating and still incredibly prolific name to the list. There’s not a lot left to say about Kusama that hasn’t been parroted a thousand times over, including a few mentions here on Japan Objects! Born in Nagano in 1929, Kusama is a sculptor, installation artist, painter, and occasional writer just to reel off a little of her extensive resume. She’s so important to the country’s art scene that earlier this year a dedicated Yayoi Kusama Museum was opened in Shunjuku, Tokyo. The museum is a must-see destination and is definitely a worthy addition to any discerning Japanese art lover’s Japan literary, but be sure to book tickets in advance!